Greg Christman is one of the most prolific illustrator/designers to come out of Kutztown’s C.D. Dept. 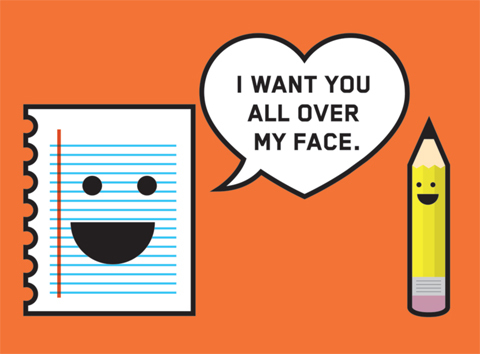 His work is frequently seen on the hippest design blogs. He was recently featured in a spread in a new French design publication called the Book of Creation. I asked Greg to explain a few of his inventive images the French liked so much. Greg: Did this when I was working at Gyro. Art in the Age of Mechanical Reproduction was looking for some artist shirts. I made this. 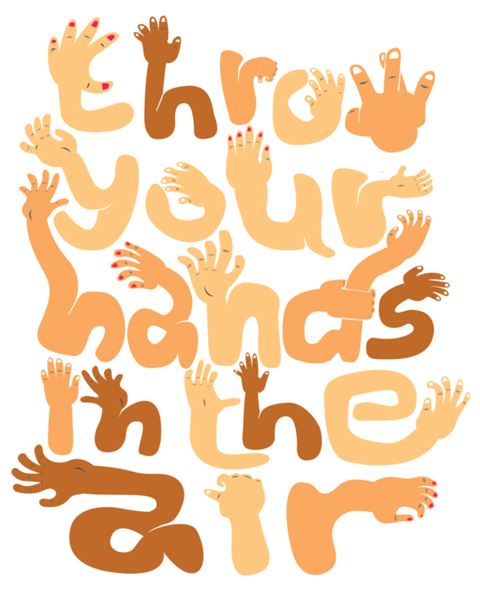 It’s just a fun type experiment. I love cats. Andy O’ Dore (also a KU CD grad) and I created/run a cat website (which has really blown up this year )… so you know I’m always making dumb cat things. 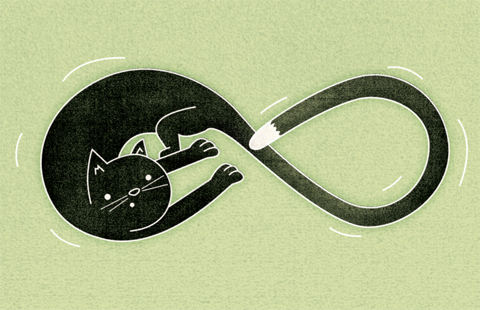 This is exactly that… a dumb cat thing. 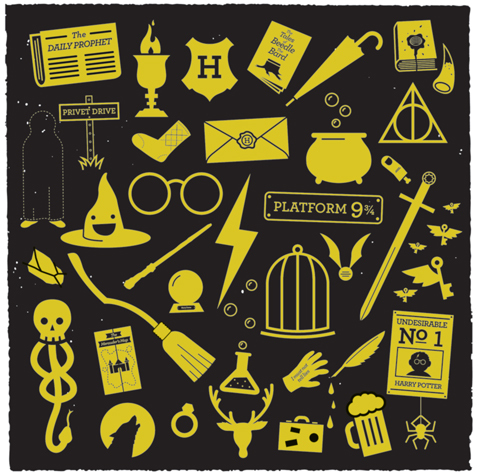 Love Harry Potter. No other explanation for this. This got reblogged thousands of times which was really, really amazing for me. 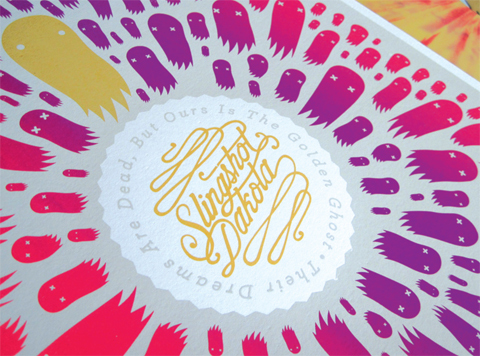 4-color screenprint for Slingshot Dakotas vinyl release of their record. Tom from Bird Apartment Printing screened this. He is also in the band. He is a talented screenprinter. I do a lot of work for him and his band. Excited that I’m doing their up and coming record on their new label. 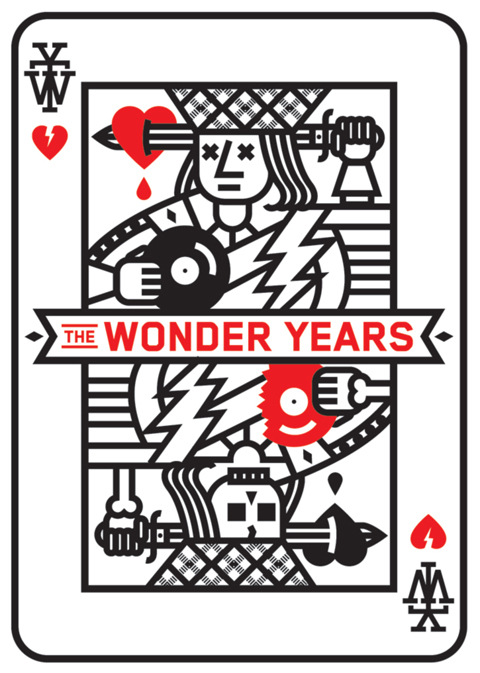 Wonder Years? Band contacted me to do a t-shirt. Went through a few rounds and this one got made. Really happy with it. 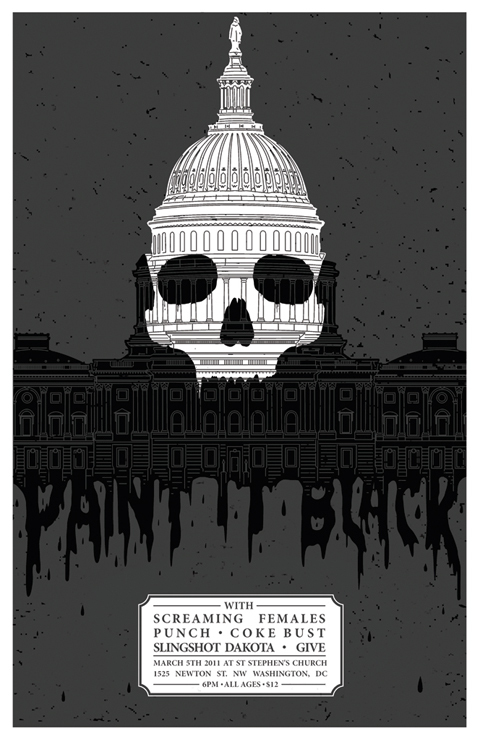 Paint it Black poster: 2 -color screen printed poster for a show in DC. Contacted by the band to do it. Got a great response and sold a ton. All images © Greg Christman. 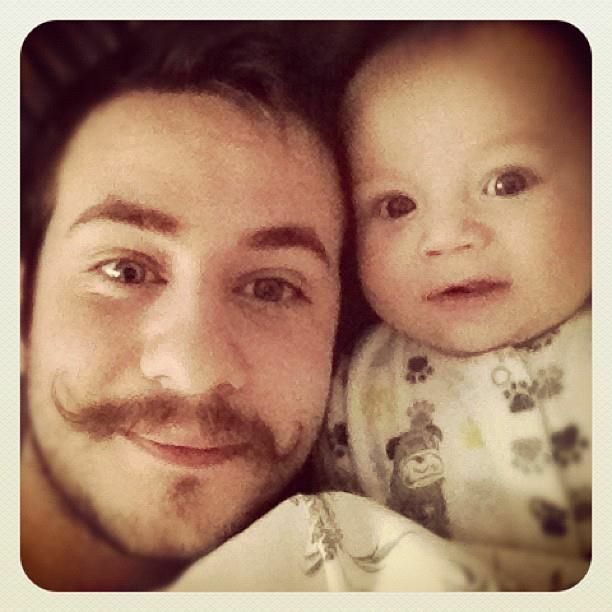 We leave you with a photo of Greg and his son, Oliver. Greg is the mature one on the left. YES! So much consistently good work. The printed projects are even better in person. Think I answered these questions a tad late one night.